Last night I finished one of the best books I’ve read in recent memory. 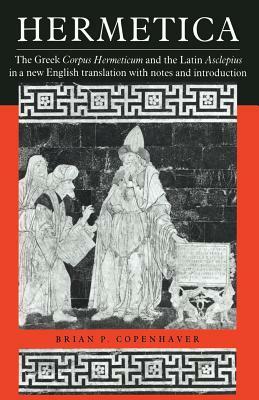 Hermetica: The Greek Corpus Hermeticum and the Latin Asclepius in a New English Translation, with Notes and Introduction by Brian P. Copenhaver is the definitive translation of the Corpus Hermeticum, and must read for any serious student of religion, mysticism, magic or philosophy. Read my Goodreads review here, then go buy a copy here. Now here’s your Cabal Fang WOD. You’re going to hate me for this one — when you get done you’ll be panting like a Labrador at a tennis ball chasing contest! PTDICE: AMSAYC in 10 mins of 4 Hop/Clap Push-ups and 8 Jump Squats (I got 18 sets). Rest 1 minute and then Bike or Run 6 x 3:00/1:00 (pace for the 3:00, sprint for the 1:00). I find it refreshing and downright beautiful that two very different writers — an American poet writing in English about the origin of culture and an Estonian-Russian mystic writing in French about Christian Hermeticism — could express (from very different perspectives of course) the same essential truth in very similar language. Both of these books are excellent by the way — highly recommended. Weights. 7 x 15 of Two-handed Squat Presses and Swing-thrus. Kickboxing. Heavy bag HZG, AHAYC without sacrificing good form. “Faith without works is dead,” it says on the wall of the church in this past Sunday’s episode of The Walking Dead (Season 6, Episode 9). Together then, they are alive indeed. To have faith is to look upward and trust in a power greater than oneself. To take action is to look within, trust in yourself, and manifest your decision. And so, to say that “Faith without works is dead” is to say that both are reliant upon one another. 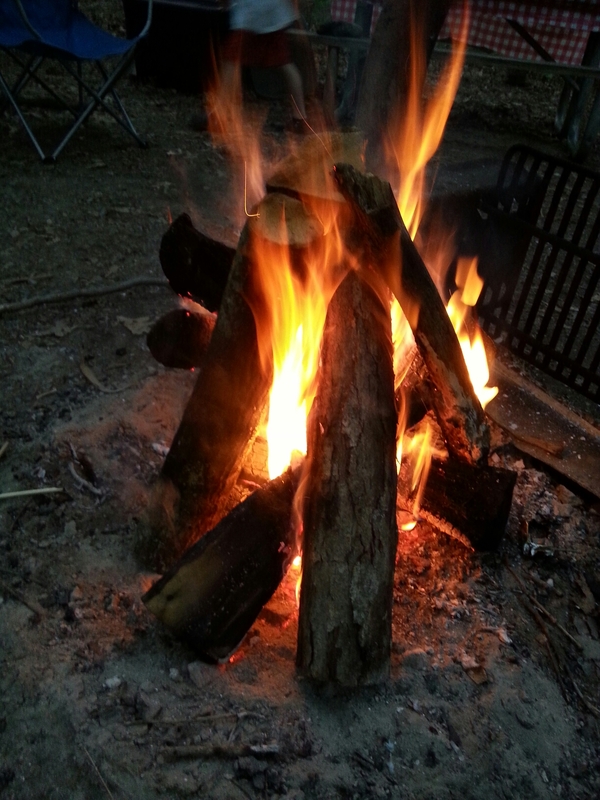 Action = Fire, it is the chemical symbol Delta (Δ) that means “change.” Faith = Water, the cup, the exact reverse symbol (∇). Together, transposed, you have the magic hexagram (image right). The reconciliation of opposites is a powerful mystical doctrine. The character of Rick Grimes in The Walking Dead isn’t as much trying to find his way between the extremes as he is trying to reconcile them, to bring them together. 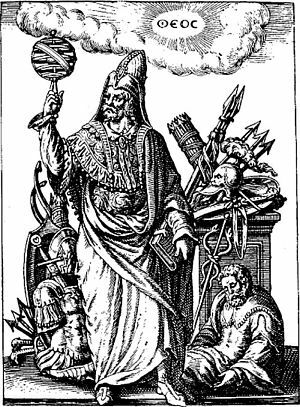 I would argue that he is the epitome of the wise hermeticist — Solomon trying to build his Temple. Rick Grimes, Alchemist. Sword, machete, ax — what’s the difference? Father Gabriel Stokes is finally starting to learn this lesson, a lesson Rick has learned and is always re-learning, perfecting, and sublimating in true alchemical fashion. This is why, despite all the failings and the frictions between Rick and Gabriel, Rick entrusts Judith to his care. Rick can feel the change. Once again Rick is right, because “All Obscurity will be clear to you.” Gabriel picks up a machete and gets to work, with success. And when Carl lies bleeding on the table, inches from death, what happens? Rick looks at the place where his son’s right eye used to be and he “sees” what must be done. Again, as it says in the Emerald Tablet, “All Obscurity will be clear to you.” The hawkish Carl has no such vision yet, but he yet may. Rick has faith, and he knows that if he puts that faith into action he can motivate the people of Alexandria to overcome any foe. He’s right. They follow him and win. With the fighting concluded, he sits with Carl and there he professes his faith in the vision of a world rebuilt. Carl’s hand squeezing his is the promise of hope. Is Seth Hoffman, writer of this episode, an alchemist or hermeticist? I seriously doubt it. But that doesn’t mean he didn’t produce something that is Hermetic Horror for sure. 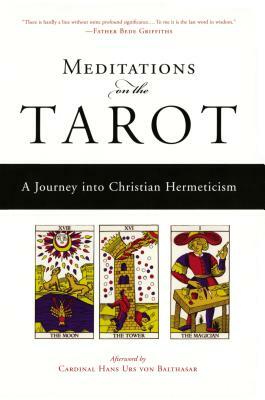 I’m about half way through Meditations on the Tarot: A Journey Into Christian Hermeticism. This is a very deep and esoteric book, one that deserves a full review when I’m done. For the time being, suffice to say that it is without a doubt the most scholarly, original, and incomparably erudite book on the Tarot I have ever read. A couple of conservative parts have made me angry, a great many others have given me chills of realization and joy, still more or pure genius. All of it is extremely thought provoking. A number of things become apparent when I apply all four types of vision to the holiday known as Christmas. I see that Christmas was and always will be. Every religion that exists has a Christ figure, an Osiris, a Krishna, or a Dionysus. Even Buddhism has a Maitreya and Wicca a Horned God of death and resurrection. I see that modern humanity has lost track of the ancient view that men and women who do great things can become divine, as exemplified by biblical figures like Enoch and Mary the mother of Jesus, Athenian heroes and heroines like Lycurgus and Phya, and so on. I see that a culture without the sacred respiration of the seasons — without death and resurrection, without suffering and redemption — has expired and breathed its last. And lastly, I see that redemption and rebirth is an actual possibility for everyone, at any time and at any moment. I’m so thankful that I’ve had these visions well in advance of the holiday. Now I can relax, slow down, and allow myself to experience the mysteries of the season, the eternal Christmas Mysteries.